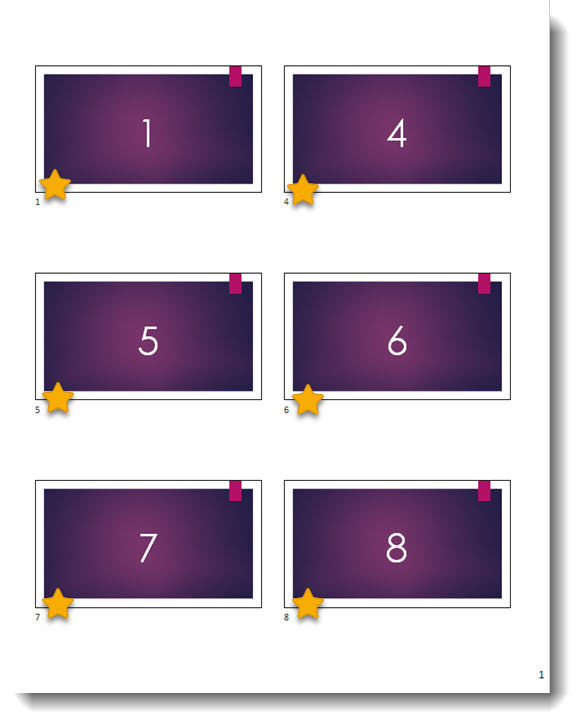 New PowerPoint Page Number Print Feature! 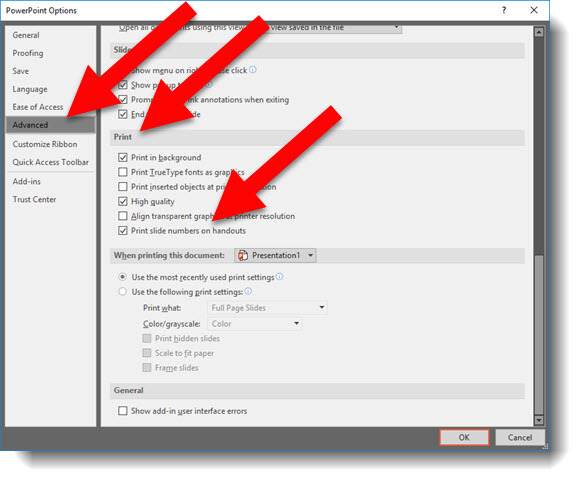 A new feature snuck into PowerPoint unannounced (PowerPoint for Windows, Mac version coming soon, mobile/web versions – uncertain), and it is either fantastic or a frustration, depending on what you need! Traditionally making a print of slides for reference was a bit confusing as to what slide number was being referenced. We had the print page number, but this 6-up layout meant manually counting slides to know which slide number the thumbnail represented. 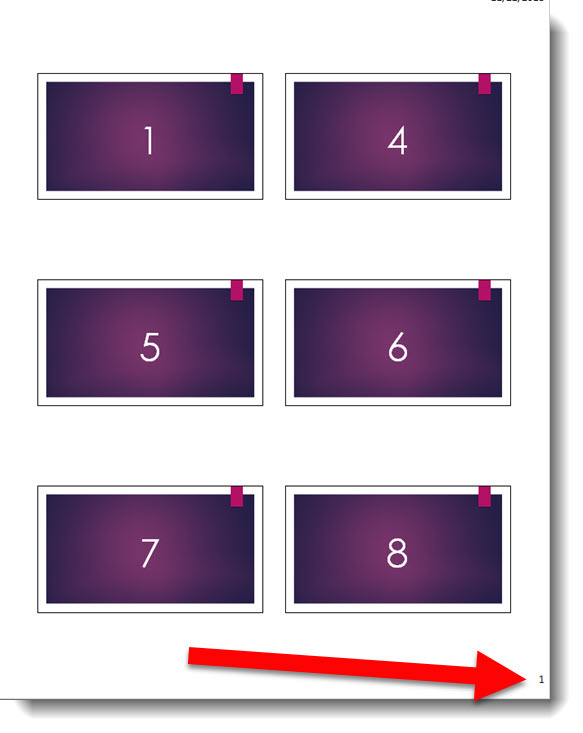 But now there is an option to add slide numbers outside the thumbnails!! Let’s look at this feature a bit closer and a scenario where it may not be as helpful as you had hoped. Here is my sample slide deck, 15 slides and 2 slides (#2 and #3) hidden. Good? Bad? Confusing? Helpful? Not Helpful? I find the all of the above to be possible answers. 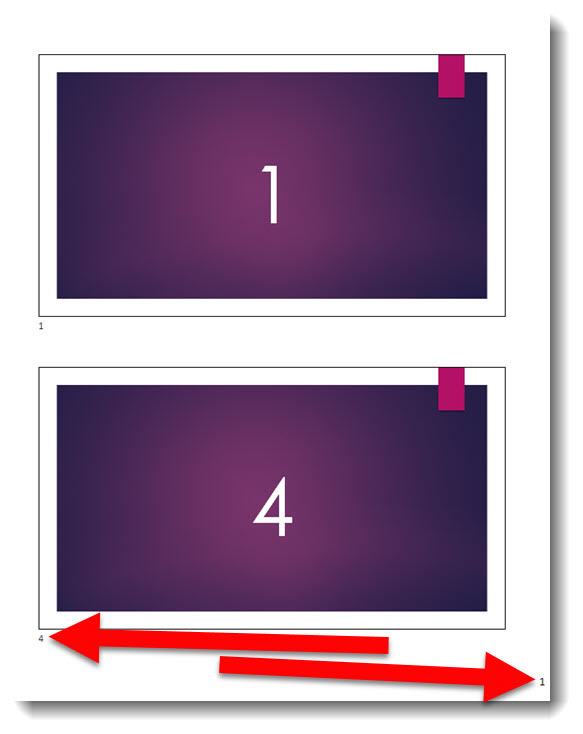 The way I am explaining the thumbnail page numbers is they are the slide number, not the slide show number. 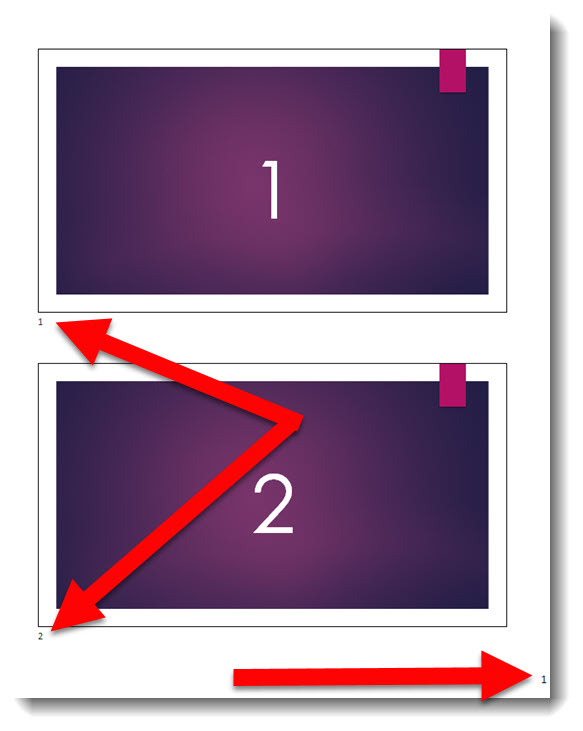 So if you need to manually jump to a specific slide in a presentation – while presenting, that is the number to use. If you are looking to confirm how many slides are in a presentation, this may not be the accurate number (if there are hidden slides in the deck).